2. Feartures 10 colorful LED lights. 3. Power: 2*LR927 batteries included and installed. 5. 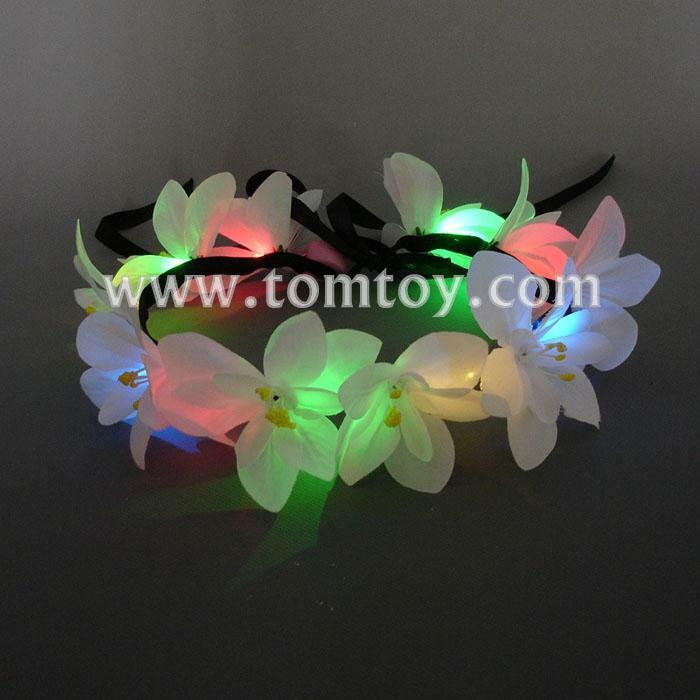 Excellent handmade materials and exquisite workmanship flower wreath crown ornamented with LED lighted, perfect for Nature Events, Garden Parties, Birthdays and other events.